IPSL supply flexible PVC rolls and PVC strip curtains suitable for a variety of applications: Flexible PVC Doors and Curtains for Warehouses, Flexible Strip for Chill Cabinets, Welding Booths and Welding Screens, Loading Bays, Clean Rooms, and many more. On these pages you can buy Flexible PVC Rolls, PVC Strip Curtains in kits form, Flexible PVC cut to length, Flexible PVC replacement strips, Clamps and Rails, and Flyscreens. If you need to get an immediate quote for a flexible pvc doorway then our online calculator works out exactly what you need for your doorway and allows you to get an immediate quote or complete the order online. We use only the highest quality PVC for your products and our service is 2nd to none. Ideal for warehouse and other business applications. Click here to buy ready to hang Flexible PVC curtain and Flexible PVC door kits. Simply follow the steps to input the details of your requirements and a price will be automatically calculated. Our online calculator works out exactly what you need for your doorway and allows you to get an immediate quote or complete the order online. Don’t want full rolls – we also supply Flexible PVC lengths cut to your specific size. Click here to enter your sizes and get a price automatically! 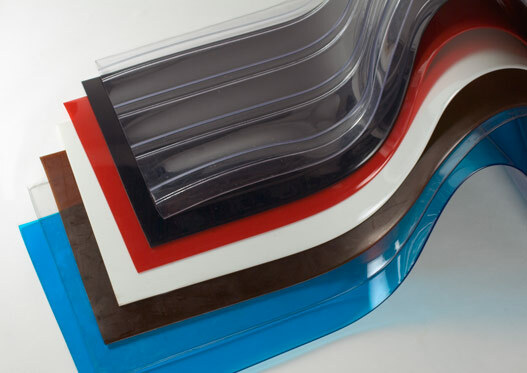 Flexible PVC can wear in tough environments and become difficult to see through. 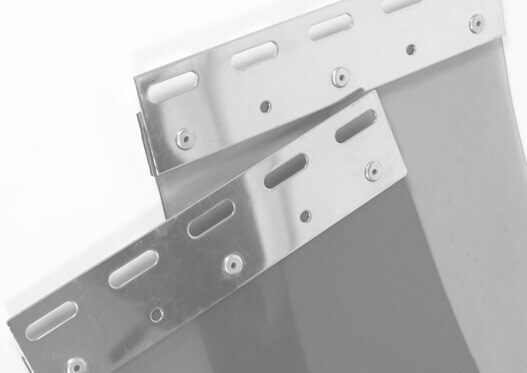 Click here to buy replacement strips pre-fitted with hanging clamps. Click here to buy all the fittings needed to build your own Flexible PVC Curtains or Flexible PVC Door Kits.